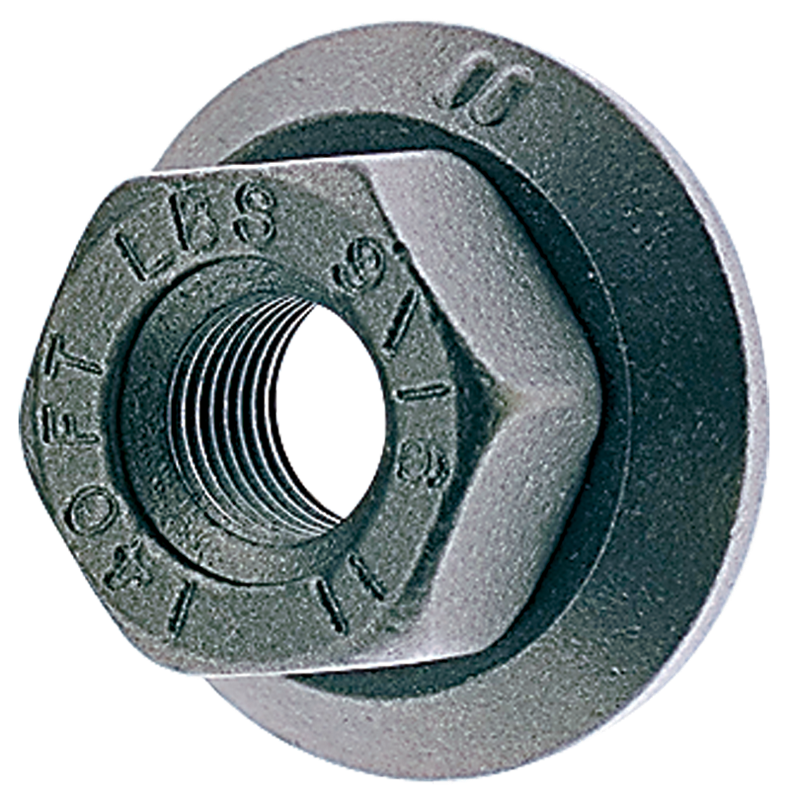 Alcoa lug nut. Flanged/washered, 5/8" x 18 inner thread, 1 1/16" hex, 13/16" height. Replaces Dayton - 13-30510 Euclid - 10233 S/B - 102333 Leland - W749.